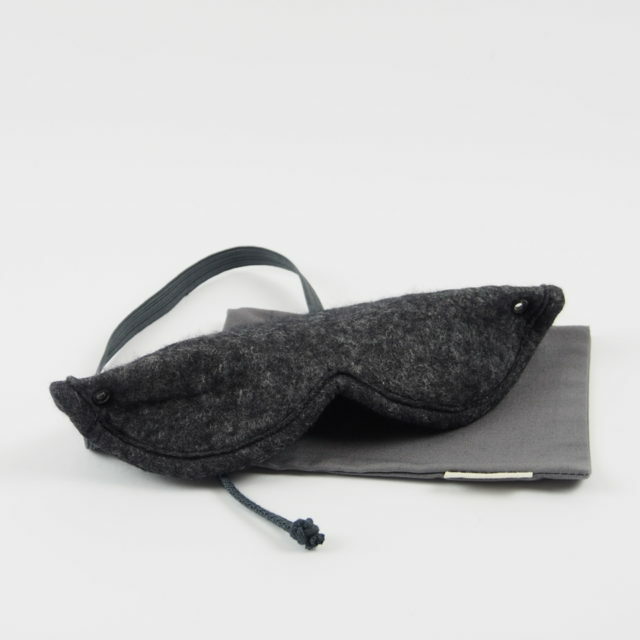 BEST for long trips, short naps, sleeping difficulties. NATURAL MATERIALS: natural silk, merino wool. Bag included. One size. Modern design. It’s these principals that are important to us. 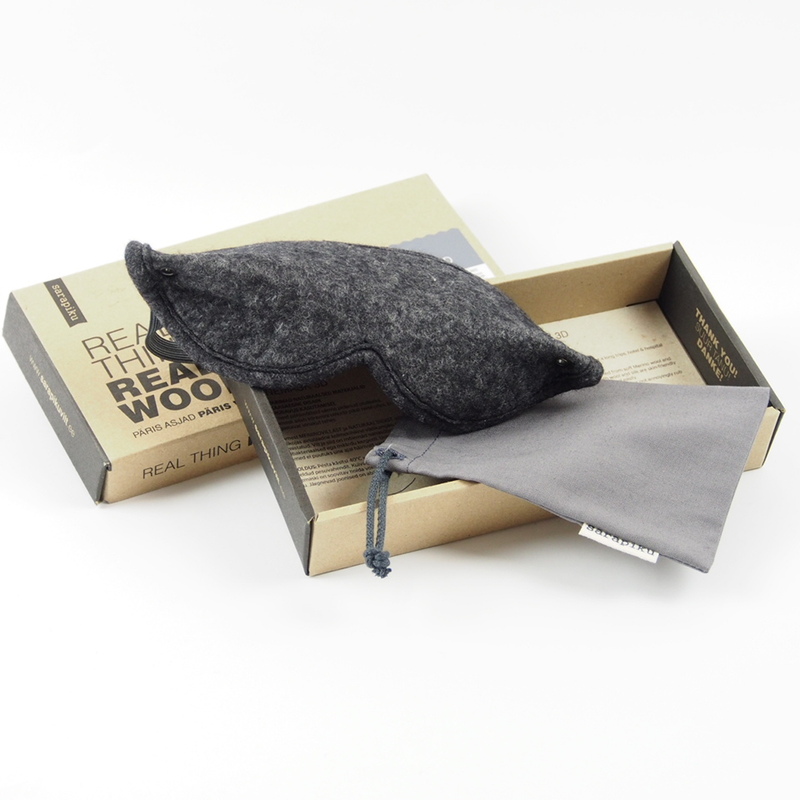 Our sleep mask helps you quickly fall asleep – after a long trips, hotel & hospital stays, or for those rejuvenating daytime naps. 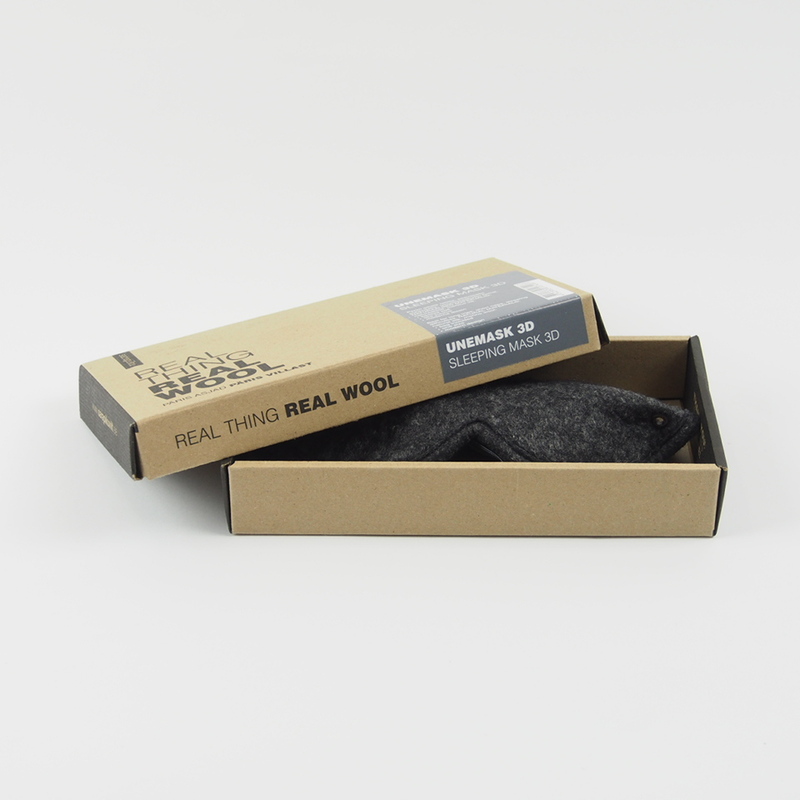 Its unique triple layered construction is handcrafted from soft Merino wool and natural silk in our Sarapiku felting workshop, Both wool and silk are skin-friendly materials that breathe, are antibacterial and do not soil easily. We have designed the mask to have a 3D form so that it does not annoyingly rub against your eyelashes. MAINTENANCE: Hand wash at 40 ° C in water, using detergent meant for wool. Mould the mask into it’s correct shape while moist and let dry on a flat surface. Store the sleeping mask in the provided pouch so that it maintains its 3D shape. The following illustrations will assist with folding the mask.